An earthquake of magnitude 6 struck south of the city of Raba on Indonesia's central island of Sumbawa this morning, the U.S. Geological Survey said. 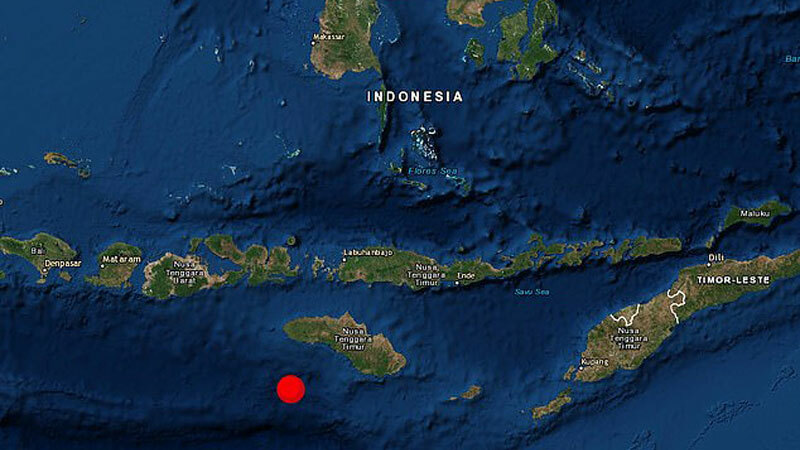 There was no immediate tsunami warning or reports of damage or casualties from the quake, which hit at a depth of 25 kilometers (16 miles) about 219 km (136 miles) south of Raba in the east of Sumbawa, which forms part of West Nusa Tenggara province. The USGS had first put the quake magnitude at 6.1. The Hawaii-based Pacific Tsunami Warning Center said on its website there was no current warning in effect. Indonesia is a disaster-prone archipelago that straddles the seismically active Pacific "Ring of Fire". It suffered its deadliest year in more than a decade in 2018 as a series of earthquakes and tsunamis killed more than 3,000 people. About 430 people were killed, with at least 159 missing, after a tsunami off the west coast of Java during the Christmas season evoked memories of the Indian Ocean tsunami triggered by a massive earthquake on Dec. 26, 2004. That disaster killed 226,000 people in 14 countries, including more than 120,000 in Indonesia.